The material depth and simultaneous material elusiveness of the façade of the Lucas Headquarters (1973-1974), encapsulates a specific concern of its designers Alison and Peter Smithson, namely that of a “layered” building envelope, that is sensitive to and protective of the building occupants’ privacy. The concern for “Layers and Layering” as labelled by the Smithsons, is intertwined with other recurrent themes broached in their discourse and moreover, is intimately related to their re-evaluation of certain cherished Modernist topoi. Lucas Headquarters, Shirley (U.K.), Alison and Peter Smithson, 1973-74 (unbuilt project). Axonometric drawing drawn from the Alison and Peter Smithson Archive (APSA), Folder A110. Courtesy of the Frances Loeb Library. Harvard University Graduate School of Design. Lucas Headquarters, Shirley (U.K.), Alison and Peter Smithson, 1973-74 (unbuilt project). Photocollage drawn from the Alison and Peter Smithson Archive (APSA), Folder A110. Courtesy of the Frances Loeb Library. Harvard University Graduate School of Design. For the development of the Lucas H.Q., one of their first visits to the site seems to have been decisive: during the visit, the Smithsons took various photographs of the trees surrounding the site, which they later assembled to reconstruct panoramic views. In the resulting images, the trees’ outlines together compose a delicate structure serving as an inspirational source for the “layers” of the Lucas H.Q.’s building envelope. (3) In the design of the headquarters, the generous glass surfaces are covered with wooden lattices, in a mainly orthogonal and occasionally diagonal layout (and thus remotely resembling the inspirational sources’ outline). With its positioning outside the glass surface and its formal resemblance to the surrounding trees, the wooden elements seem to “bridge” the inside with the outside and explicitly “layer” the façade — an aspect represented in the aerial perspective the Smithsons drew of a fragment of the building. While a very local design intervention, the Smithsons’ idea of a “layered” façade as envisaged for the St. Lucas H.Q. project speaks to a larger theoretical position that subtly undermines a specifically modern topos, namely, the “skin-and-bones” building concept promoted by Ludwig Mies van der Rohe. Mies explicitly formulated the “skin-and-bones” principle in his articles published between 1922 and 1924 in Frühlicht and in G-Material zur elementaren Gestaltung, and subsequently explored its possibilities for design in his numerous skyscraper buildings in North America. (4) Common to these buildings is their relatively “thin” façade and the resulting abrupt division of the inside and outside space. If, in the first years of their career, the Smithsons were profoundly impressed by Mies’ oeuvre and even closely followed some his building practices – a comparison of Mies’ Minerals and Metals Research Building (1942-1943) in Chicago and the Smithsons’ Hunstanton Secondary School (1949-1954) in the English county of Norfold clearly establishes this debt (5) – they nevertheless readily and critically re-evaluated aspects of his oeuvre. Departing from this encounter and the vigorous discussions that took place there among CIAM members, Alison and Peter Smithson developed what they called a “doorstep philosophy”. As they explain in their 1955 article, “The Built World: Urban reidentification” (7), their doorstep philosophy was concerned with the immediate outside of a building and its inside-outside relationship. Announcing their intentions they write, “Let us therefore start our thinking from the moment the man steps outside (…). We must try and find out in what way this basic contact should take place.” (8) The Smithsons subsequently explored possible means of creating a smooth and gradual transition from the inside towards the outside space in the walkways of the Golden Lane competition entry (1952), the Robin Hood Gardens (1966-1972) and in the semi-public square they created between the various volumes of the Economist Building ensemble (1959-1964). Yet, the abovementioned issue with the inside-outside transition, finds its clearest translation –in spatial terms– in the Lucas H.Q. façade drawings: the novel way of thinking this transition, as postulated by the Smithsons, crystalized in the Lucas H.Q.’s elevations reveals their treatment of a thickened threshold that comes about through the building up of porous layers. Alison and Peter Smithson, “A History of Layers and Layering,” typescript (1981), 3. Folder E066, Alison and Peter Smithson Archive (APSA), Special Collections, Frances Loeb Library, Harvard University Graduate School of Design. Alison and Peter Smithson, “A Line of Trees …A Steel Structure,” Net 2 (1976): n. p.
Alison and Peter Smithson, “A History of Layers and Layering,” 4-5. See in particular Mies’ untitled article published in Frühlicht 4 (1922): 122-124; as well as his “Bürohaus” G 1 (1923): 3; and his article “Industrielles Bauen,” G 3 (1924): 18-23. See Cornelia Tapparelli, “The Shift, ou le ‘déplacement’ dans l’oeuvre première de Alison et Peter Smithson,” Matières 11 (2014): 48-63; as well as Martino Stierli, “Taking on Mies: Mimicry and Parody of Modernism in the Architecture of Alison and Peter Smithson and Venturi / Scott Brown,” in Neo-avant-garde and Postmodern Postwar Architecture in Britain and Beyond, eds. Mark Crinson and Claire Zimmerman (Yale University Press, New Haven, 2010), 151-173. On the CIAM meeting at Aix-en-Provence see Max Risselada, Dirk van den Heuvel, eds., Team 10, 1953-1981: In Search of a Utopia of the Present (Nai Publishers: Rotterdam, 2005), 20-42. Alison and Peter Smithson, “The Built World: Urban reidentification,” Architectural Design 6 (1955): 187. Cornelia Tapparelli is a lecturer at the EPFL in Lausanne and at the FHNW in Basel. 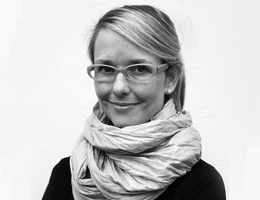 She holds a PhD from EPFL (2013), a MAS in Architectural History and Theory from the ETH in Zurich and degrees in architecture from the EPFL and the Accademia di Architettura di Mendrisio. Her PhD dissertation studied the resurgence of ornament in contemporary global architecture. Her postdoctoral research, lead at Harvard University’s GSD and at the EPFL, focuses on a deeper understanding of the postwar period in the architectural discourse drawing connections to contemporary architectural culture. Her current research project “On Scatter, Cohesion, Clusters, and Beyond” delves into the written oeuvre of British architects Alison and Peter Smithson.